The Kerala Institute for Research, Training and Development Studies of Scheduled Castes and Tribes (KIRTADS), is a government organization located proximate to Kozhikode. The institute helps in the development of Scheduled Castes and Tribes by undertaking research and studies to understand the problems facing the marginalized in society and finding remedies to ensure their upliftment. KIRTADS was founded in 1972 as the Tribal Research and Training Centre and was converted to its current name in 1979. The institute has three departments – training, research and development studies – which help conserve tribal history, assists students in research, conducts studies and then recommend suggestions to address problems faced by the weaker sections in society. KIRTADS also has a reference library on various subjects including anthropology and sociology in addition to an Ethnological Museum and a Documentation Centre of the Art forms of Scheduled communities. The institute helps in the documentation and preservation of records on the developmental work undertaken by the government with regards to the upliftment of these marginalized groups. Unique museum houses the tools and devices used by the ancient tribal communities of kerala. A good library with books on Anthropology and Sociology is and added attraction. 8 Kms away from the Railway Station. 4 Kms from the Bus Stand. People normally club together Canolly Canal and Beypore Beach while planning their visit to Kirtads. Great place.. nice staff.. A repository of traditional knowledge.. Beautifully curated treasure trove.. Totally free of cost service by the experienced staff.. Need more publicity.. The nearby schools must include this museum in their syllabus..
Good stop for school students. Informative and interesting figures are housed in the museum. the clothes, habitat, places of worship, ornaments and other objects of daily use are kept in the museum. It's a must place to visit for anyone interested in learning about different types of tribes in Kerala. 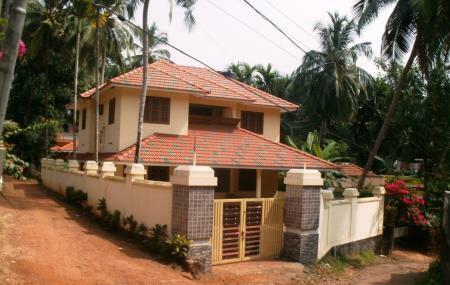 KIRTADS, the Kerala Institute for Research Training and Development Studies of Scheduled Castes and Scheduled Tribes is a museum located in Chevarambalam near Chevayoor in Kozhikode. It is a directorate under the Government of Kerala and functions under the Scheduled Castes and Scheduled Tribes Development (SCSTDD) ministry. Its main objective is to carry out research that helps to promote development among the scheduled communities in Kerala. It also attempts to identify the needs and problems confronting the marginalized section of the population and suggest recommendations to the government in finding a panacea for their overall development.